Exercise illustrations with lifelike, full color figures. Lifelike figures make correct exercise technique clear and obvious. 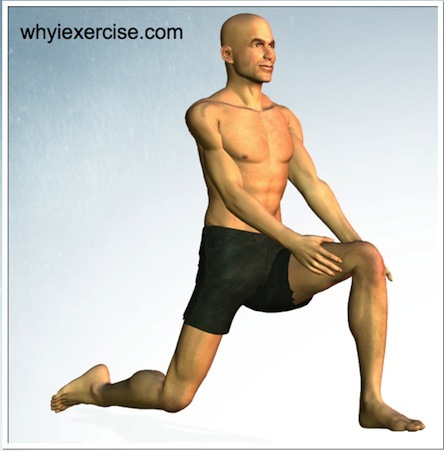 High quality exercise illustrations make it easy for you to learn new moves and routines. For this reason, lifelike figures are a part of every workout routine on whyiexercise.com. Correct exercise technique is clear and obvious when you see the unique point of view and detail in the illustrations. Illustrations are included for strengthening and flexibility routines, therapy exercises, and interval workouts. whyiexercise.com has 32 illustrated strengthening exercises included among 4 complete workouts and 2 partial routines. The 4 workouts are introductory routines with intermediate exercise modifications. There are exercises with resistance bands, a stability ball, foam roll, or body weight only. Most routines are designed to train a number of muscle groups in the same workout. For example, you can train your back and core, or upper and lower body in 1 routine. There are also two strengthening routines where you can try intermediate exercises for the core and lower body. 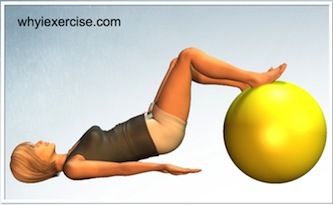 My new book on core strengthening has over 100 pages of exercise illustrations. There are intro, intermediate and advanced routines, plus corrective exercises with detailed anatomy diagrams. 18 illustrated flexibility exercises are split among 3 stretching routines. Exercises target key muscle groups that have the greatest effect on the spine, shoulders, hips and knees. For most of the exercises, all you will need is a stretching mat or a chair. Choose between a whole body routine and upper or lower body routines. My e-book Correct Posture has 60+ pages of illustrated exercises, including stretching routines designed for home and office plus posture training, ergonomic tips and core exercise routines. 25 illustrated therapeutic exercises are organized into 4 routines designed to help you relieve stress from overworked muscles and joints. Exercises are designed to take the stress off of overworked muscles and joints by strengthening muscles that tend to be weak and stiff. Isometric, range of motion, resistance band and balance exercises are included. Return from exercise illustrations to home page, Why I exercise.